Go Dutch, the easy way! 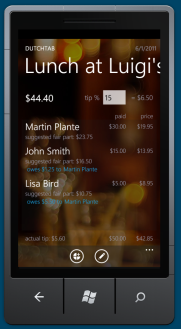 DutchTab lets you quickly and easily split bills between friends or coworkers. Whether sharing a lunch order with coworkers, dining out with friends or splitting bills with roommates, those who have cash can take care of bills and get their fair part later. With DutchTab, going Dutch has never been so easy! The YellowPages.ca™ application for Windows Phone 7 helps you find local business and residential listings quickly and easily. It can use your GPS to find listings close to you. You can view your search results on a map, and get turn by turn directions to get to your destination. 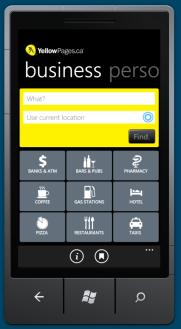 slimCODE is proud to have been part of the design and development of the YellowPages.ca™ application for Windows Phone 7. YellowPages.ca and Walking Fingers & Design are trademarks of Yellow Pages Group Co.
At slimCODE, we like hotkeys, we dream of hotkeys, we see hotkeys in our soup. That's why we made slimKEYS, the best hotkey manager, for quickly opening files and applications on your computer, searching the Web, moving your windows around, dimming out non-focused windows, taking screenshots, and more. Wouldn't it be great if your grocery list was always sorted in the same way as items are in your grocery? 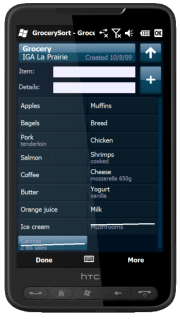 GrocerySort learns from your shopping habits, and automatically shows your grocery list in order of appearance. 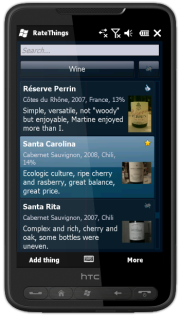 It can be wine, it can be movies, it can be restaurants, recipes, applications. Heck, it can even be your previous dates. Anything can get rated! But can you remember it? RateThings will remember things for you, anything. Your passwords on the go. 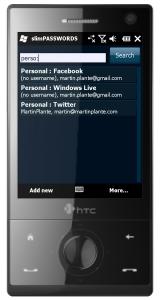 Bring your passwords with you, on your Windows Mobile device, so you don't have to remember all of them. Just remember the main password, and slimPASSWORDS will help you find, type or paste your other passwords. 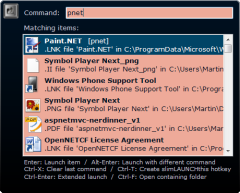 Copyright © 2011 slimCODE Software Inc.